It is finally the last week of my spring semester! I can not wait for the freedom that summer holds in store for me! No longer will I have to study for classes! Well, for a couple of months anyways. But a break from such trials is nice, and I am very much looking forward to it. Does anyone else have big plans for the summer? Oops! My bad, I got distracted with all my excitement for summer. I need to backtrack a bit to what I have been up to this week with my crafting. I got around to up-cycling some boxes that have been lying around my room. 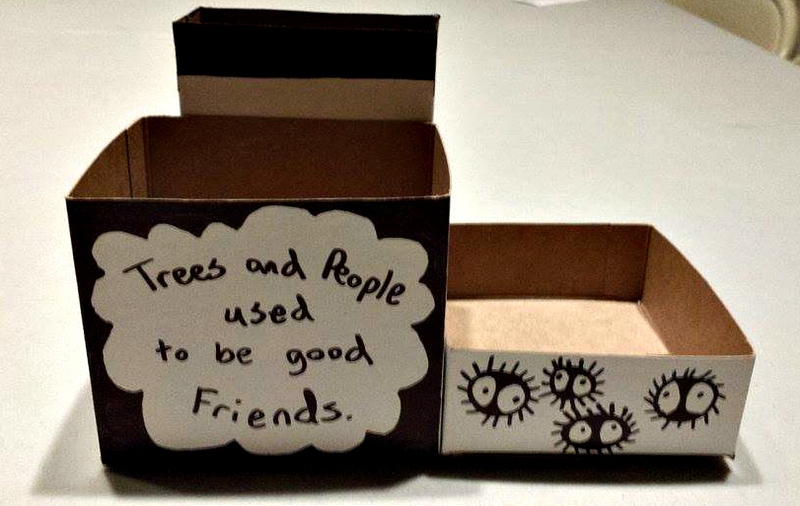 I ended up cutting them a bit to make them different heights and used a sharpie to decorate each box. 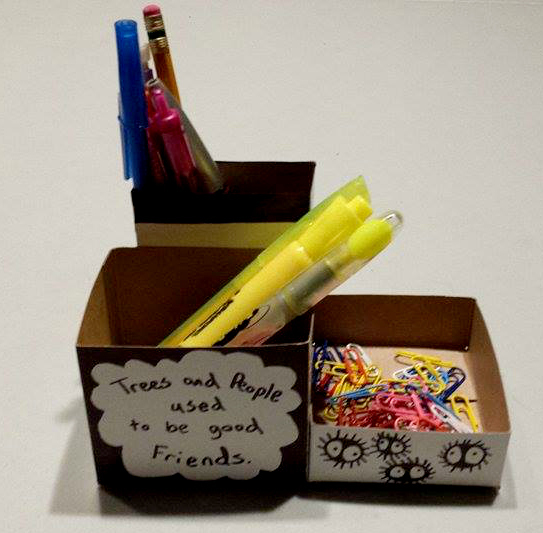 Then I glued the boxes together to create a cute, simple Totoro inspired pencil holder for my desk! It also has a spot to hold paper clips and such too! I am starting to notice that I have a problem. The idea of wasting good materials for DIY projects bothers me, so I end up hoarding up the material. Guess I just need to find more ideas to use the materials for so that I do not have just a pile of “trash” lying around. Does anyone have some ideas?